If you're lactose intolerant, your body can't digest the natural sugars in dairy products. While you might think that this automatically makes cheese off limits, the fact is that many people with lactose intolerance can eat cheeses because they contain less lactose than milk or ice cream. The University of Illinois Extension recommends that if you're lactose-intolerant, you start with small amounts of a new dairy food to test for a reaction. 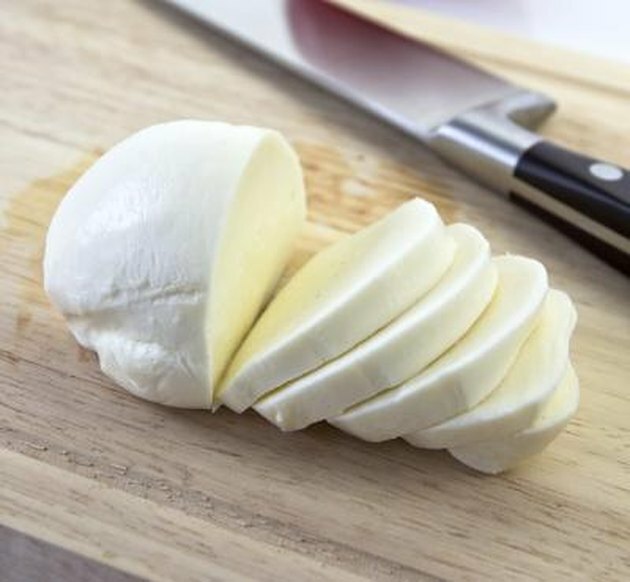 If eating mozzarella brings unpleasant results, try soy cheese or another lactose-free alternative. Mozzarella cheese contains far less lactose than many other dairy products; on average, each 1-ounce serving has just .02 grams. Therefore, a sprinkling on your pizza or a slice in your sandwich may be OK even if you are lactose intolerant. In comparison, 1 cup of cow's milk contains an average of 13 grams of lactose, as does 1 cup of low-fat yogurt. Most cheeses are fairly low in lactose, with cheddar containing .07 grams and Swiss containing 0.02 grams. Reduced-fat cheeses contain slightly more lactose than full-fat versions. Does Cheese Cause Gas & Cramps?